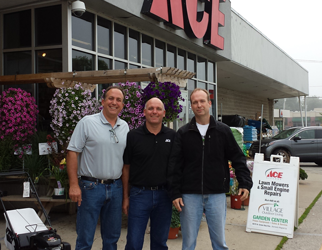 Jim, Mike and Mark Meinecke — As second generation hardware men, we all grew up in the business, following in our parent’s footsteps. Our parents, Jim and Margaret Meinecke made us learn every aspect of the business, literally starting in the basement and working up. They made sure we knew our products and always offered great customer service. That hardware store was and still is an integral part of our lives and the community. We are very fortunate to now work with about 50 people and offer an even greater variety of products and services. 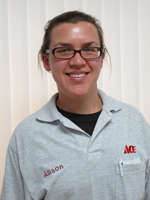 Allison – I have worked at Village Ace for 15 years. I enjoy helping people. I especially like to troubleshoot and assist customers with unique problems. I have a good working knowledge of the store inventory, especially light bulbs, fasteners, Weber grills, and replacement grill parts. I look forward to helping you with your project! Homay – If you need help fixing a broken toy or lamp, et cetera, this is your guy! Homay is an expert at such repairs. He is knowledgeable in electrical and plumbing. 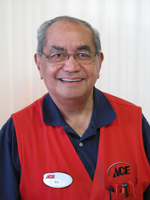 He’s been working at Ace for more than 15 years and his favorite part is interacting with our awesome customers. 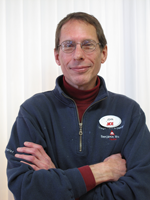 Ed ¬ With over 20 years of experience, Ed can likely help you with anything you need at our hardware store. Ed particularly enjoys providing great customer service and store merchandising. 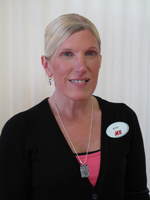 Becky – I work at our Wauwatosa Benjamin Moore Paint Store, Village Paint and Design. I have always been interested in color and design. In 1989, I received an Associate Degree in interior design. I have been in the paint and wallcovering industry for over 24 years; it’s my life. Selecting colors for customers and custom match tinting are my strengths. Come and see us at Village Paint and Design in Tosa! Daniel – I’ve been selling Benjamin Moore since 1998. My favorite part of the job is satisfying my customers’ needs. I also love working with color and I am a stain and paint-matching expert. 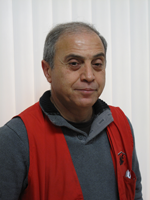 John – John has been working in paint stores for over 15 years. 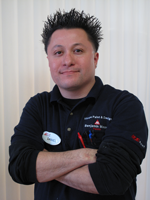 He enjoys working with people in all the various aspects of paint, stain, and other coatings. John likes selecting color, color matching and problem solving. He also has several years of practical application experience. John says that both the staff and customers of VPD are some of the best people he’s ever encountered in his 60 years! 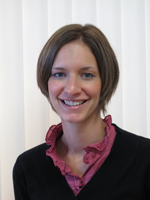 Julia – I have been working with Benjamin Moore and Hunter Douglas for eight years. I have a very good eye for color and particularly enjoy doing in-home color consultations. I also measure and consult on custom window treatments. We sell only the best quality Hunter Douglas products. I love helping customers select the best products to meet their needs and their style. Danny – Danny, our most recent Benjamin Moore team member, has an interior design background. Bring your fabrics or tiles in for a custom color consultation. He is great at color selection and understanding the customer’s style. Doug Shrader is a small engine technician with 12 years of experience. Having been a shop foreman, as well as a shop owner, he knows the power equipment business inside and out. Doug takes great pride in doing the job right the first time. Tag Moder is our Horticulturist. She comes to us with 24 years of horticulture sales experience as well as an Associate’s Degree in Landscape Management. Tag is extremely pleasant to work with and brings a wealth of plant knowledge that she is happy to share. David Meinecke manages Sales and Merchandising. With nine years of sales experience, a degree in Natural Areas Land Development and a passion for outdoor activities, David brings a unique perspective to Village Outdoor Living. Ron Pate is the General Manager of Village Outdoor living. An Air Force veteran with 13 years of experience managing a wholesale hardware warehouse and 18 years in the outdoor power equipment business, Ron knows that amazing customer service and top quality products are what keep customers coming back.